Rhubarb usually takes me by surprise. 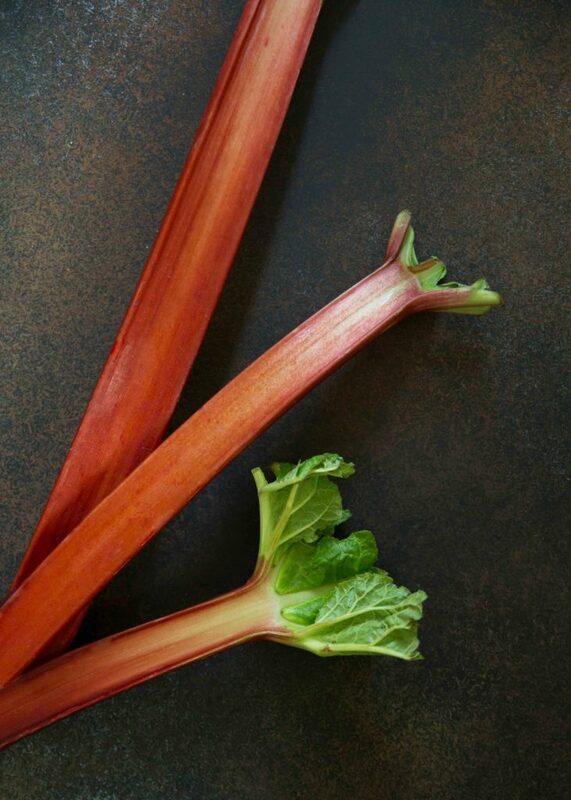 It’s in the market, then a bevy of rhubarb shows up in my Instagram feed, all gossamer pink ribbons. Before you know it though, it’s gone. You’ve missed the season again. I vowed to not let that happen this year. Cue rhubarb rose fools. Rhubarb rose compote has just enough rosewater and citrusy pink peppercorn to make things interesting. 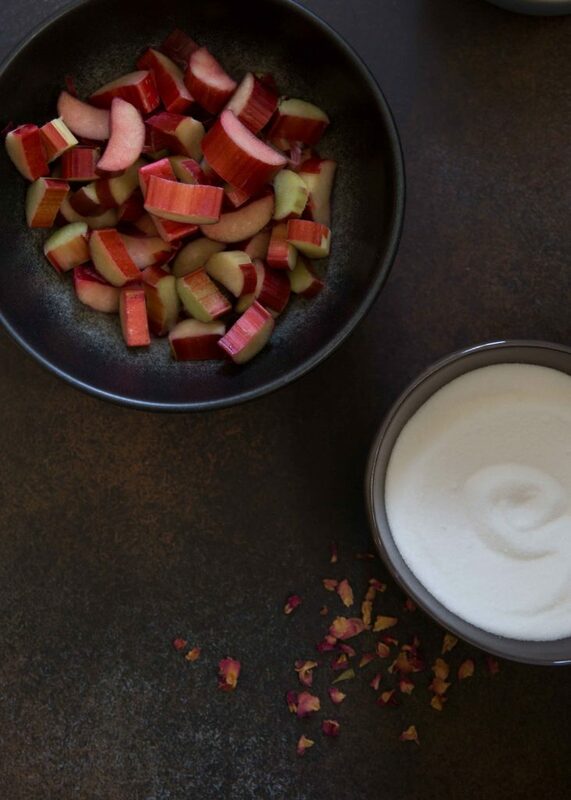 That pairing–rhubarb, rose, and pink peppercorn are meant to be. And, I might be late to the rosewater party, but you’d be a fool not to fall for it. Also, whipping creme fraiche into lightly beaten whipped cream until soft peaks emerge is a bit of a revelation. You could swap in Greek yogurt instead of the creme fraiche, but if you do, taste and adjust the sweetness as it might be a bit too tangy. I wouldn’t advise using mascarpone or cream cheese, but if you do, consider adding a smidge of lemon juice to make it not quite so one note. Cook the rhubarb, sugar, lemon juice, rosewater, and peppercorn in a medium-sized heavy saucepan set over medium heat until the fruit softens and most of the liquid cooks out but the fruit is not sticking to the bottom of the saucepan, about 12 to 14 minutes, stirring frequently. Whip the cream for a minute, adding the sugar when it thickens up a bit. Beat until soft peaks form. 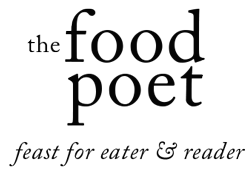 Fold in the crème fraiche, briefly beating it in until smooth soft peaks form, lustrous, and thick. 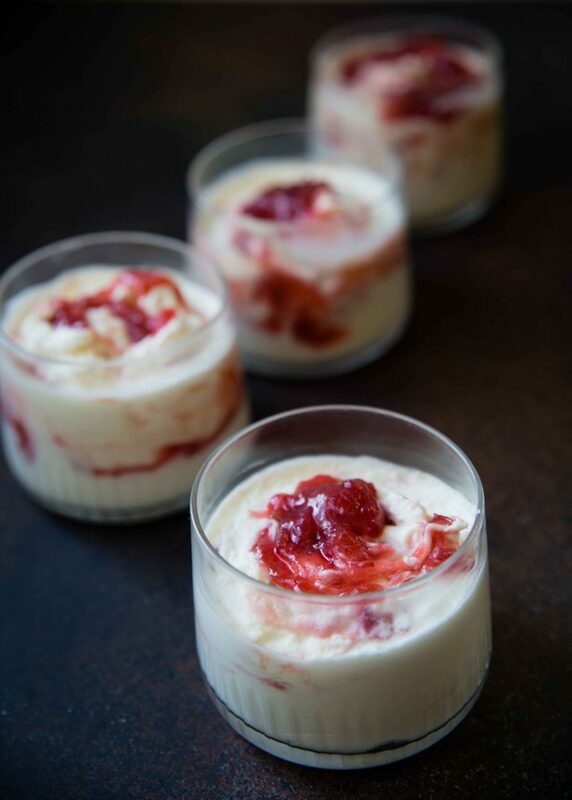 Spoon a 1/4 cup dollop of whipped crème fraiche into six tumbler glasses. 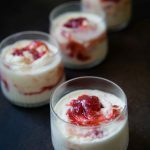 Stir in a tablespoon of rhubarb compote into the cream with a chopstick, swirling it in slightly, but only enough so there’s a marbled ribbon of fruit lacing through the cream. 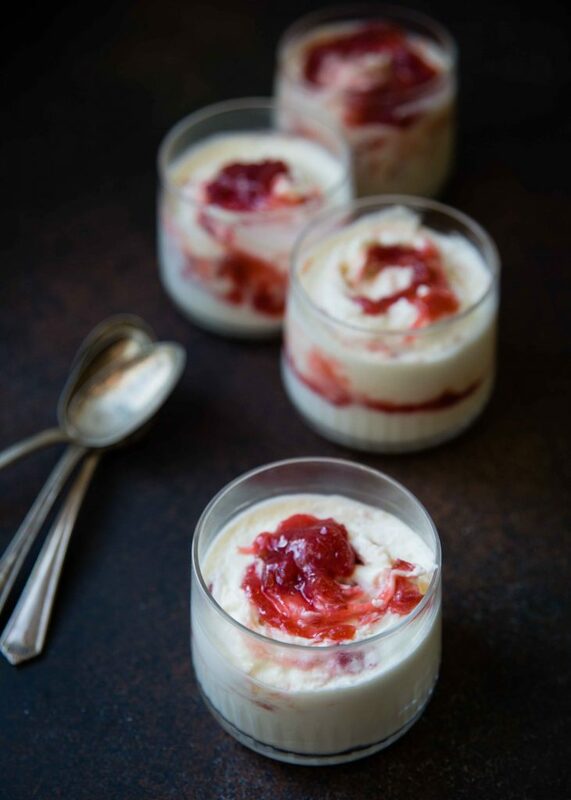 Top each tumbler with another 1/4 cup dollop of cream, and top each tumbler with a teaspoon of the remaining compote. 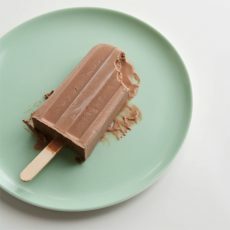 Chill for 10 minutes or eat. Missing the rhubarb season sounds familiar. I need to get some quick and make your fools! Hi Rosemary- Thanks for the visit and also this year, I didn’t miss rhubarb season, but I sure did miss apricot season!